Skip through the wonderland of light-up lollipops, oversized candy canes and giant gumdrops that will be taking over First Fleet Park. Be careful though, these sweet treats are too good to eat! Designed by the brilliant Francesco Cappuccio in collaboration with Claudio Catini and Louis Cappuccio, the picture-perfect installation will explore the amazing uses of solar panels, luminescent powder and mechanical energy. Straight outta Compton, the lyrical mastermind of N.W.A and granddaddy of West Coast rap, Ice Cube will be delivering a sizzling show at the Sydney Opera House. In one of his only Australian shows ever, the famous rapper and actor will be performing his seriously cool live set exclusively to Vivid LIVE, so make sure you grab your tickets before they (inevitably) sell out. Kids both big and small will love diving into the larger-than-life BALLpit at the historic Cadmans Cottage. 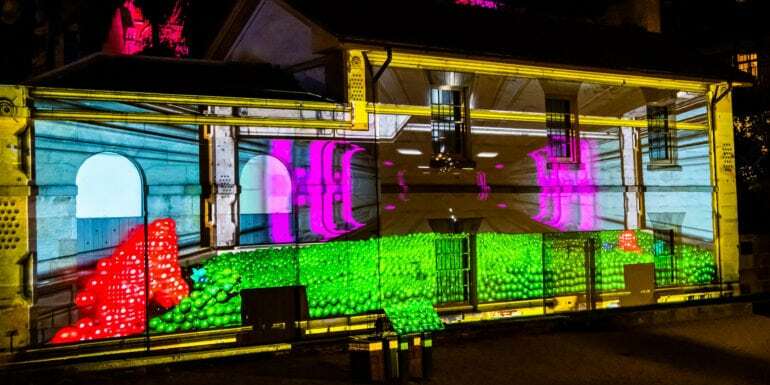 For the first time ever, one of Sydney’s oldest buildings will be home to tens of thousands of virtual, responsive toy balls. Dive, swim, jump and dance through a sea of bright lights where gravity is just a suggestion and fantasy is the norm. Dive into an enchanting display of four different “Under the Sea” themed installations with the Tumbalong Lights, including “Enchanted Garden”, “In the Scale of the Sea”, “Ride Into the Night”, and “Beneath the Sea”. Designed to be enjoyed by both little ones and their parents, this interactive experience is a playful example of exploration and discovery. Plus, for the first time at Vivid, families who have children with a disability will be able to pre-book tickets free-of-charge! When it comes to Australian success stories, you can’t go past the iconic Dare Jennings. Founder of Mambo (clothing), Phantom Records and Deus Ex Machina, this farm boy from Central NSW has created Australia’s cult favourites by throwing out the rule book. Join Dare and James Valentine (host of Afternoons on ABC Radio) as they talk politics, surfing, bikes, and everything in between. Do you have an award-winning podcast idea brewing in your head? Think you can create an audio experience even more gripping than Serial? Join Angela Stengel (Head of ABC’s Content Ideas Lab), Jocelin Abbey (Head of the ABC’s Radio and Regional Marketing), Kellie Riordan (Manager of ABC Audio Studios) and Yumi Stynes (one of Australia’s most beloved TV and radio presenters). Listen along to these audio powerhouses as they share all their secrets to creating a hit podcast. Romeo, Romeo, wherefore art thou Romeo? Getting his groove on at a masquerade/grand ball/rock show at the Enmore Theatre. Relive Baz Luhrmann’s iconic 90s hit and dance to those unforgettable tunes by Garbage, Radiohead, The Cardigans, Des’ree, and more. The Enmore has also arranged for some very special guests including Ella Hooper from Killing Heidi, Hayley Mary from the Jezabels, and Jake Stone from Bluejuice – so make sure you grab your tickets before this show sells out! Get your groove on and step into the future with an ultra-futuristic Jurassic Lounge. Set in the year 2099 and produced in collaboration with Vivid and Supanova, Jurassic Lounge transforms the Australian Museum into a space-age playground for adults, complete with a silent disco, five pop-up bars, and two eateries. Finally, you’ll have the chance to see what it looks like when T-Rexes and spacemen collide so what are you waiting for? Grab your friends, a pair of rocket boots, and party like it’s 2099. Vivid Sydney 2018 is set to be the city’s biggest celebration yet, so make sure you buy your tickets ahead of time. Need somewhere to stay? 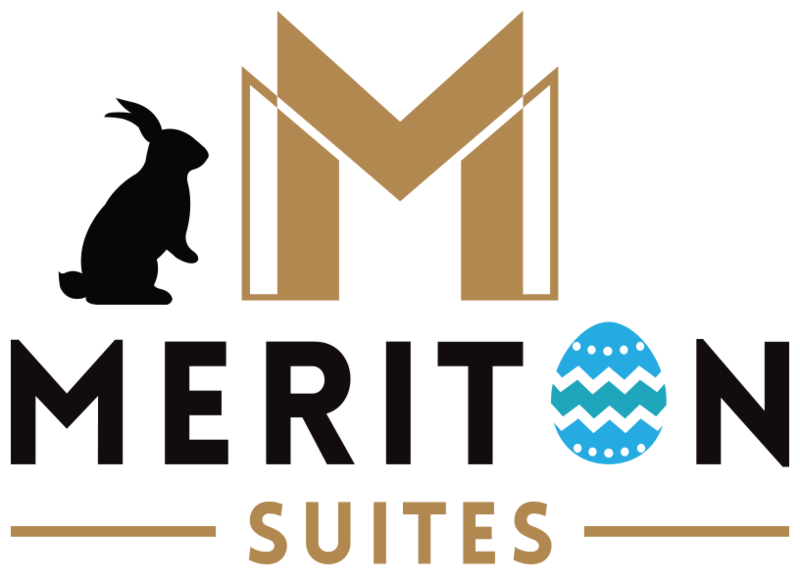 Reserve your room at the iconic Meriton Suites, just a short walk away from most attractions.